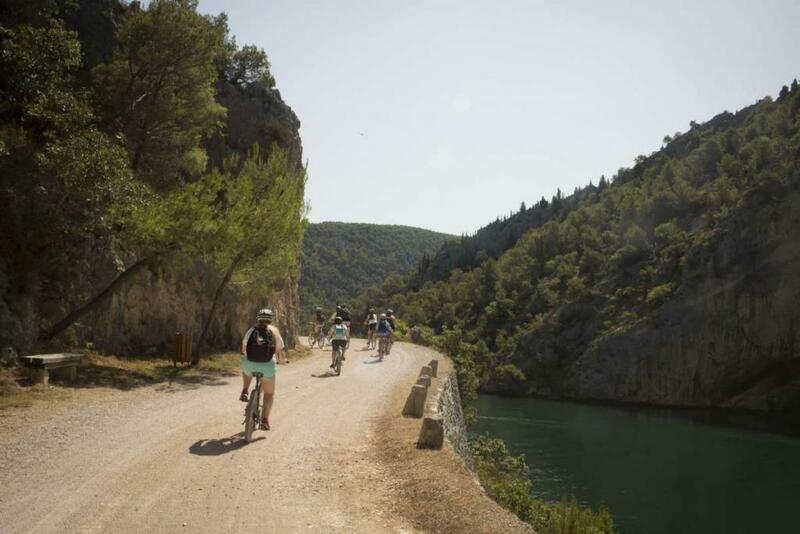 The perfect blend of cities and outdoor adventure, this trip is great for those seeking a mix of classic destinations while also experiencing some of Europe’s best-kept secrets! Step back in time to the fairytale city of Prague. Wander the cobblestone streets and see why this is Eastern Europe’s trendiest city. Head over to Austria for palaces, markets, breathtaking views of the Alps and a first-hand look at the country that inspired “The Sound of Music.” Take a tour of Hitler’s Eagle’s Nest where, in one of history’s weird turns, a birthday present to Adolf Hitler is now a restaurant with a spectacular 360-degree view of the Alps. 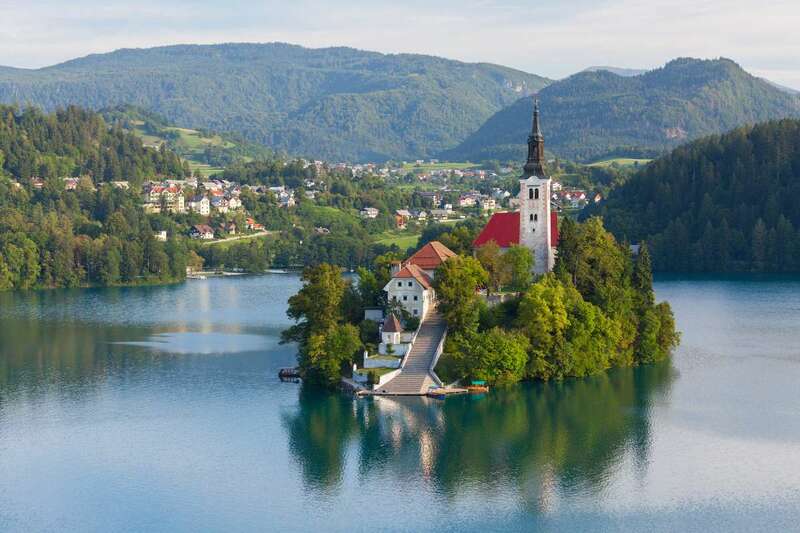 Explore stunning Lake Bled in Slovenia and walk along the cliffside over the stunning turquoise waters of the Vintgar Gorge, go for a traditional pletna boat ride across the lake, and relax on the beach by a castle. 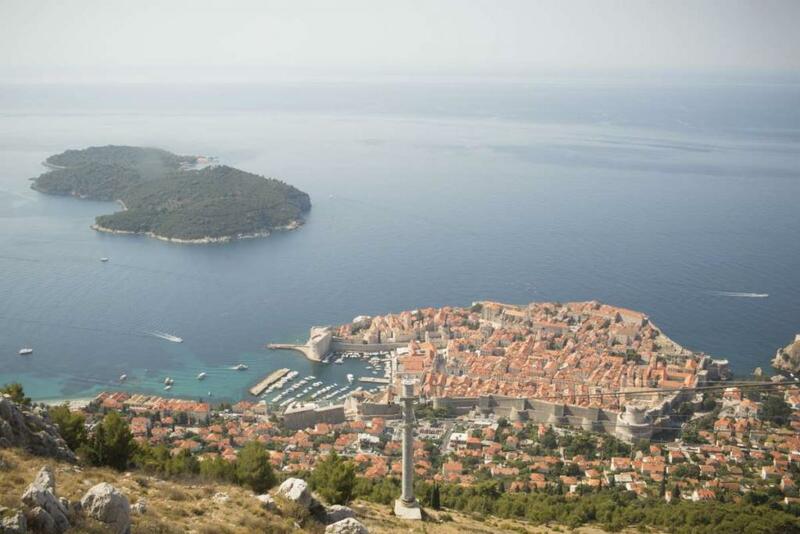 Finish up this trip in stunning Croatia. Home to the famous Krka waterfalls, pristine beaches and ancient seaside cities, you’ll discover for yourself why it is steadily climbing to the top of every traveler’s list. Your time here will be filled with a mix of relaxation and adventure. These hidden gems won’t remain hidden for much longer, so come join us for the experience of a lifetime before the secret gets out! Our first stop is Prague, in the Czech Republic, a destination where the historical and the modern collide. Old cobblestone streets provide space for a vibrant youth culture. 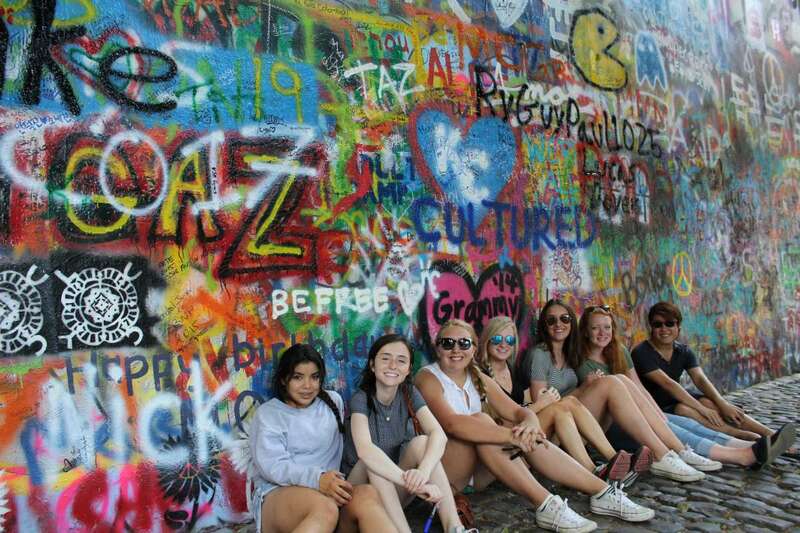 We’ll learn about the Velvet Revolution, shop in Wenceslas Square, climb to the top of Prague Castle to watch the changing of the guard and enjoy a night of live jazz music on the Vltava River. Plus, enjoy our awesome bike tour throughout the hidden corners of this Bohemian city. 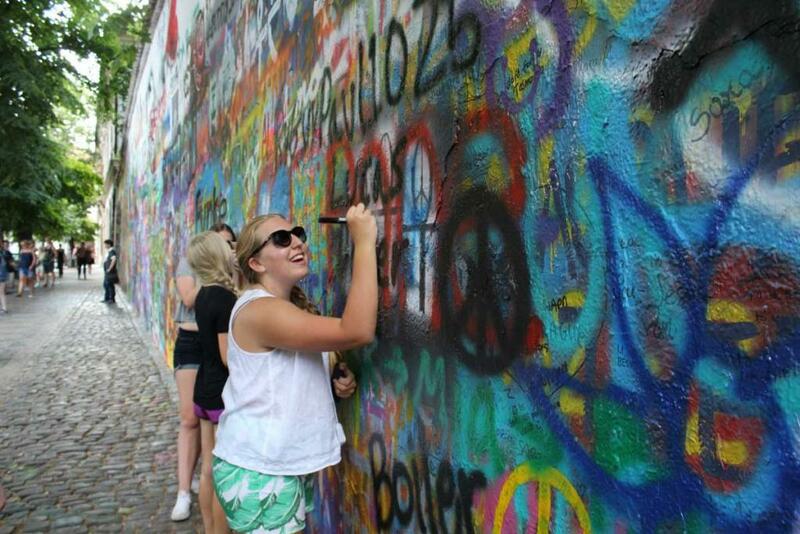 We will top it all off with a city tour and the chance to sign the famous inspirational John Lennon Wall! En route from Vienna to Slovenia, we will spend a day in the Bavarian Alps while stepping back in time and visiting Hitler’s infamous Eagle’s Nest. Since it’s perched at the top of a mountain, we will ride an elevator up and have the unique opportunity go inside this piece of history. Not only will we learn about this dark period from the past but the views of the surrounding Alps are also stunning! Nestled in the Alps, Lake Bled in Slovenia is a postcard-perfect lake town surrounded by gorgeous mountain scenery. Our time here will be filled with adventure! 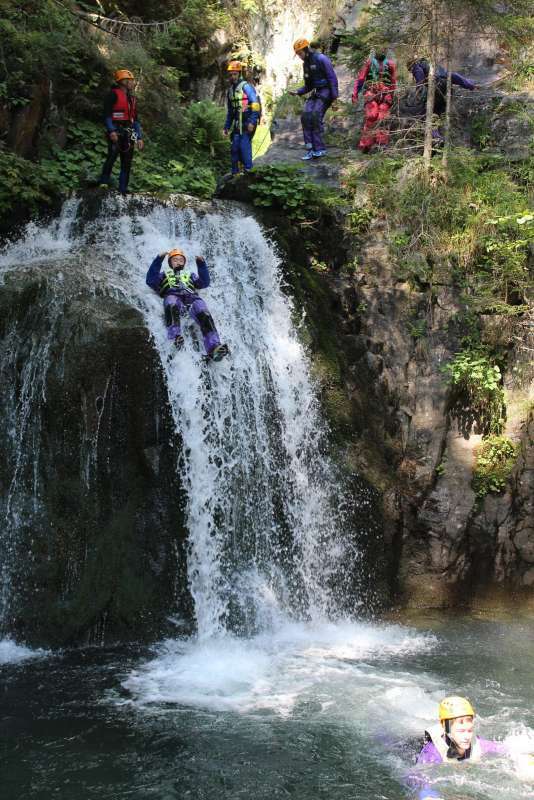 We will jump through waterfalls, cascade down natural rock slides, climb over rocks and swim in crystal clear pools while canyoning. 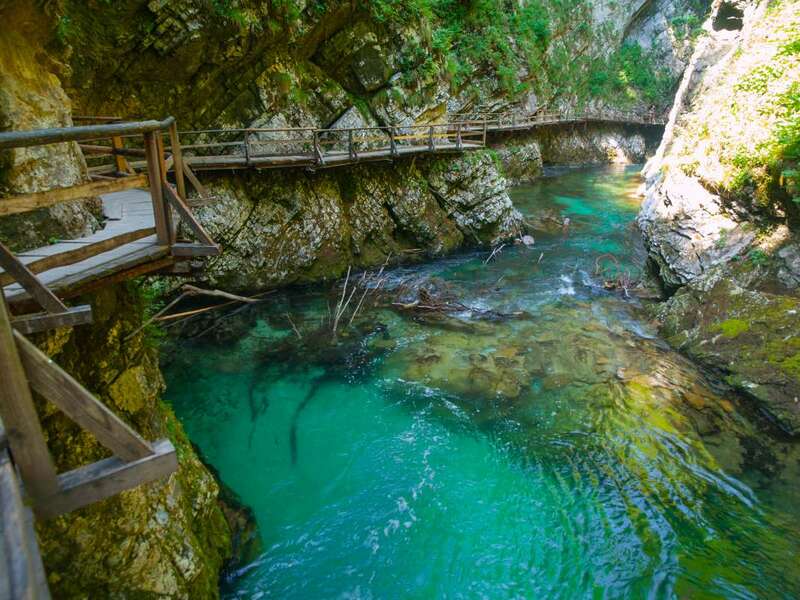 We’ll hike the cliffside boardwalk of the Vintgar Gorge, tour the castle sitting serenely in the center of the lake, explore some enchanting caves, and of course swim in the lake’s inviting and refreshing waters. You’ll also ride a traditional pletna boat out to the island in the center of the lake, watch the sunset from atop a lookout point after an easy hike, and slide down a luge! 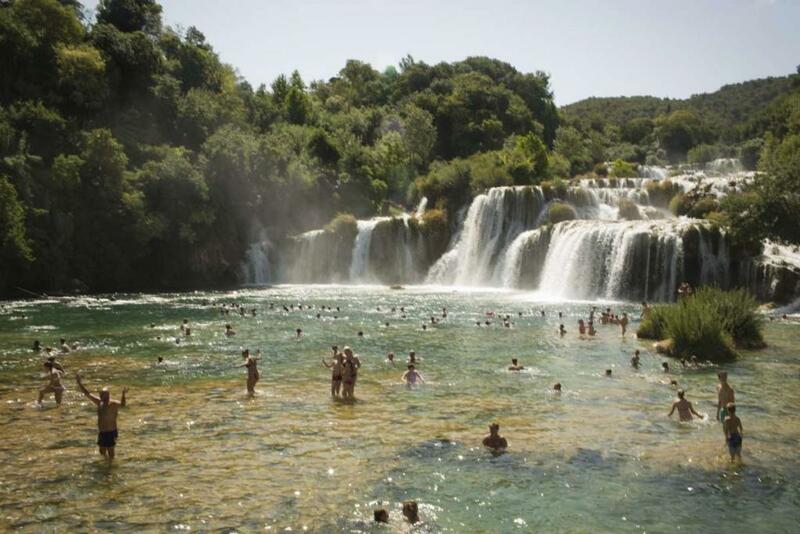 After crossing the border into Croatia, stop at the famous waterfalls of Krka National Park for amazing views and a refreshing afternoon in the water. Head on to Split, a coastal town known for its pristine beaches, whitewashed marble streets, and the ancient fortress of Diocletian’s palace at its center. In Split we will spend our time relaxing at the beach, soaking up the sun and culture while enjoying some of the freshest seafood! Our last day in Split might be everyone’s favorite – we island hop on a catamaran day trip exploring the breathtaking locations of Hvar, Brac, Solta and the Pakleni islands, with ample time to swim and soak up the Dalmatian sun! Leaving Split, we will finish off our trip in the elegant Croatian coastal city of Dubrovnik. This ancient walled city is a UNESCO World Heritage site with millennia of history and an easygoing, seaside vibe. It is home to beautiful churches, fountains and palaces and provides plenty of breathtaking views. 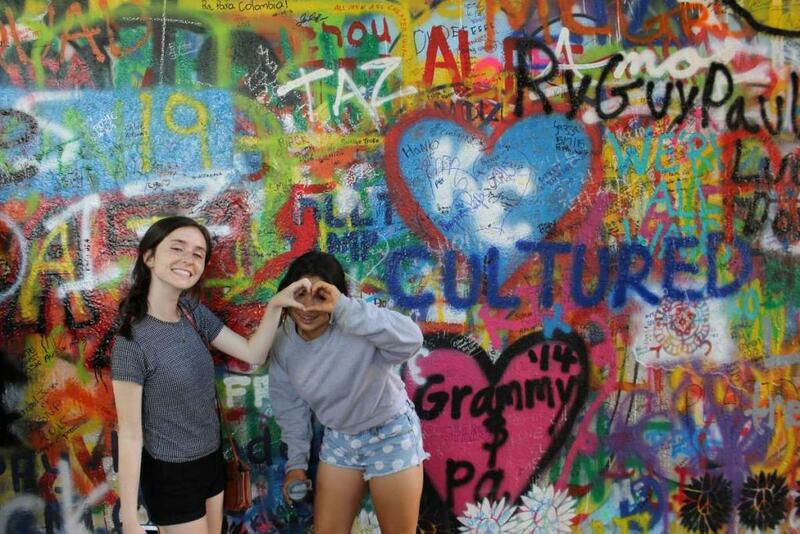 Climb the walls of the city, explore the narrow pedestrian streets, and see the second oldest synagogue in Europe. Plus, you’ll explore rugged and beautiful Lokrum Island with some time to swim in its tranquil bays, and have the option of going on a Game of Thrones tour–you’ll even get to sit on the Iron Throne! 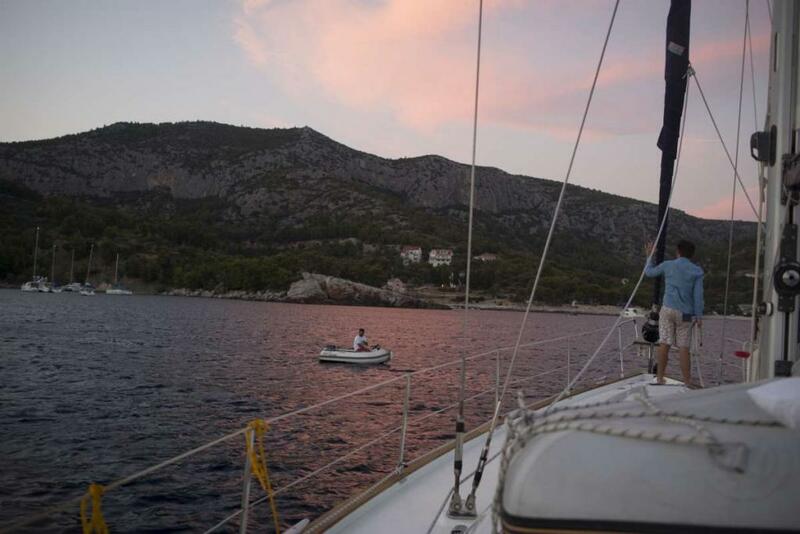 We’ll wrap up this amazing trip of a lifetime with a photo shoot in front of one of the prettiest sunsets you’ll ever see, before enjoying a fantastic final Croatian feast overlooking the coast. 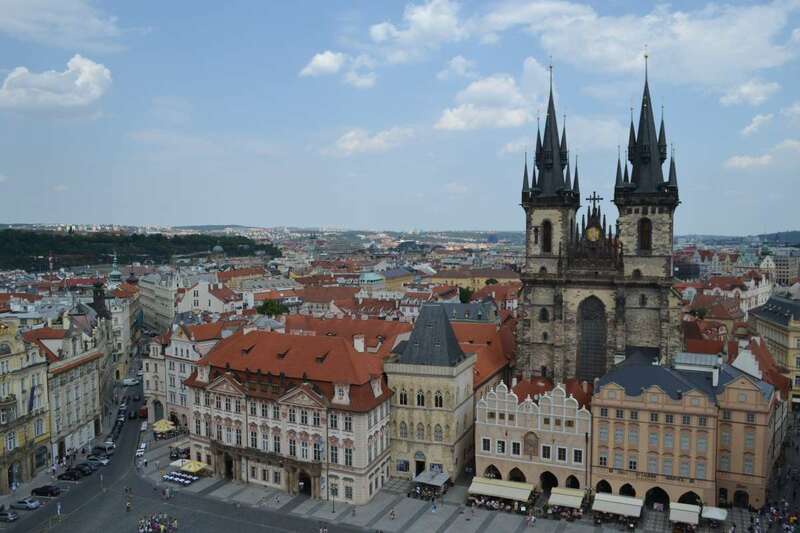 In Prague, our 3* hotel is right in the center of the city and near Wenceslas square. We are in a great location that connects easily with the public transit. Our hotel has a lot of experience with groups and is ready to work with us to make our stay memorable. In Vienna we stay in a 3* hotel right on one of the hippest shopping boulevards. In Lake Bled we stay in a modern, comfortable hotel right on the lake. It is within walking distance to everything and a great place to hang out! 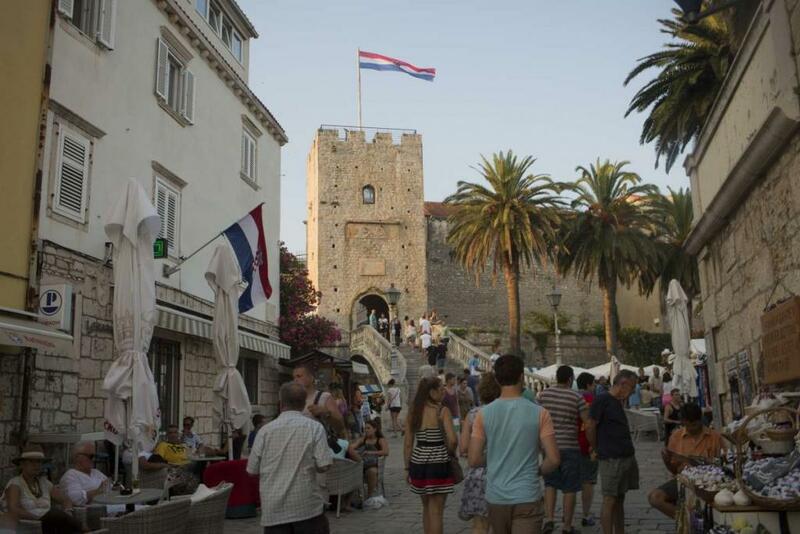 In Split we’ll be staying at an award-winning youth hostel right in the city center, and in Dubrovnik we’ll be in a beautiful bed-and-breakfast in the historical quarter of the Old Town. In the Czech Republic, we will dine on the finest goulash, bread dumplings, and beer cheese in all the land! Try these Czech specialities at a critically acclaimed beer hall for an authentic dining experience in Prague. Then try Austrian and Slovenian cuisine — both are hearty and fulfilling and includes a variety of meats and potatoes, but with their own national twists. 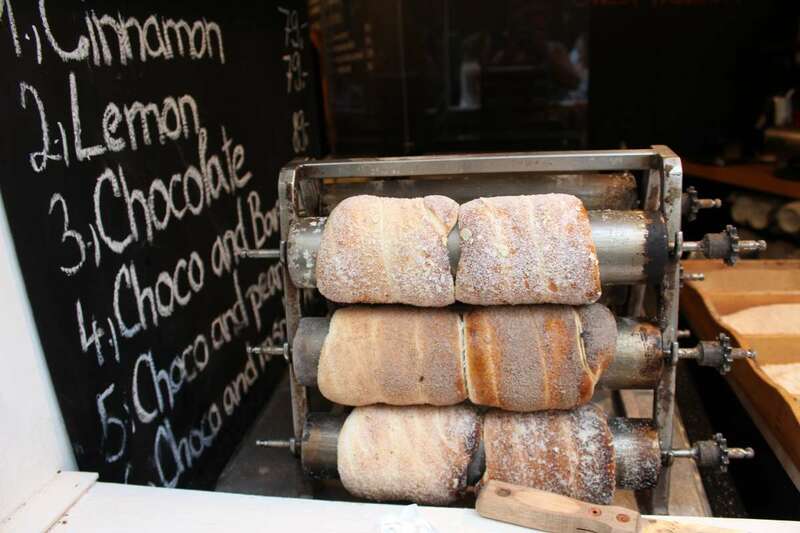 Croatian cuisine is very diverse with each region boasting its own mouth-watering dishes. Try various charcuterie, goulashes, stews and of course incredible seafood fresh from the sea! "This past summer, I had the ability to travel with Travel For Teens to the beautiful countries and cities of Prague, Vienna, Slovenia and Croatia. The experiences I had while on this trip is one I will never forget. 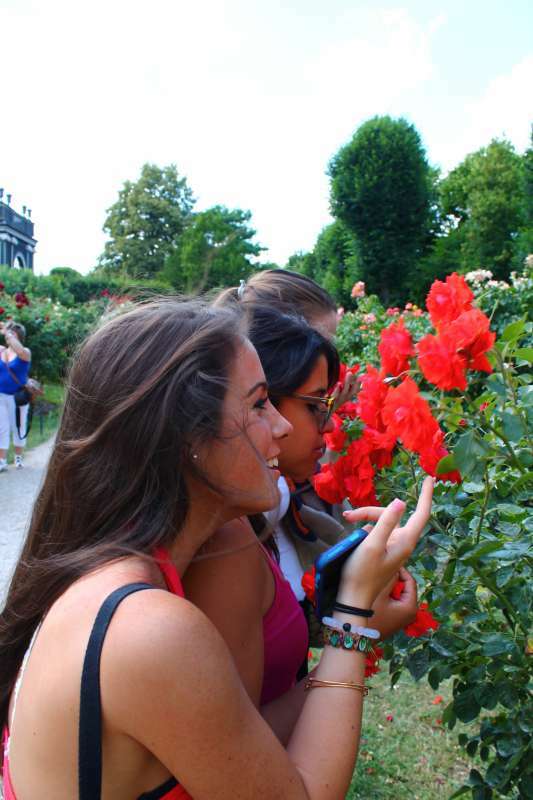 From meeting friends that will last a lifetime to seeing sights unimaginable, my entire trip was beyond amazing. 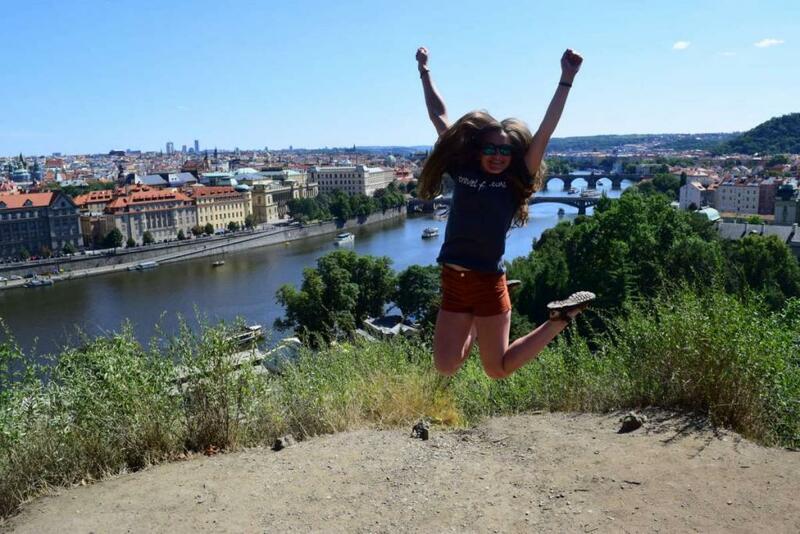 From a biking tour through the beautiful city of Prague, to seeing breathtaking castles in Vienna, and swimming in the clearest water in Slovenia, the adventures and sights I saw while on this trip were ones that will forever be some of the most beautiful places I have seen. 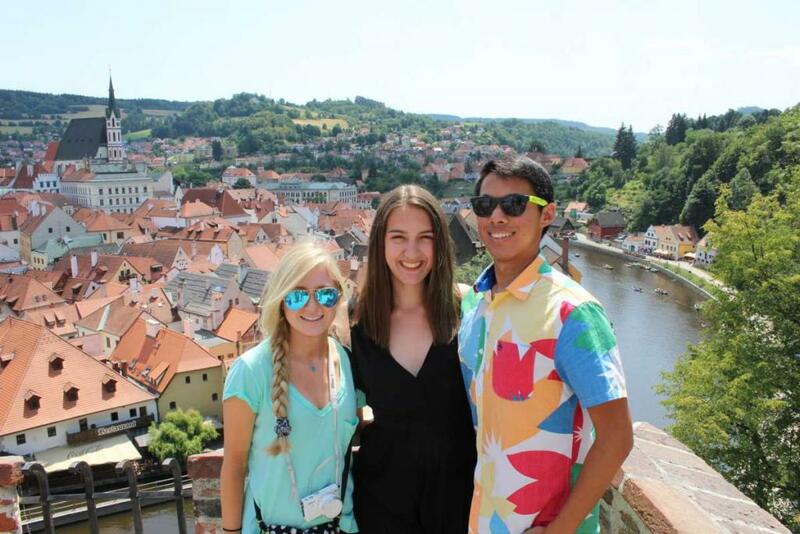 The counselors were great in helping us learn about the culture and making us feel like travelers, not tourists. I wish I could do this trip again." "Thank you sooooo much! Yesterday’s pics are AWESOME - that water is lovely beyond! And how cool is that Croatia won their match and you will be there - its going to be wild and fun!! 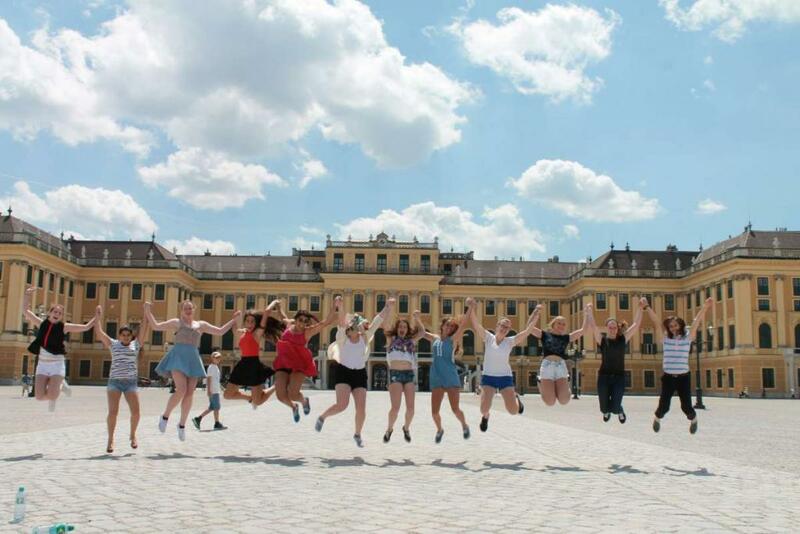 I have immensely enjoyed the pictures and tales - the trip sounds incredible!" "Thank you for the updates and pictures. Adrian is having a great time! And we are so jealous about the World Cup viewing."